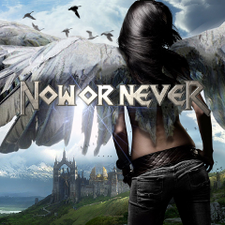 NOW OR NEVER will release their eponymous debut album through Mausoleum Records on November 15th 2013 (Europe/Asia) and January 15th 2014 (North America). There are some same name bands out there, but this NOW OR NEVER was founded in 2012 by guitarist Ricky Marx (ex-Pretty Maids) and drummer Ranzo. Soon after, vocalist Jo Amore (Nightmare) and bass player Kenn Jackson (ex-Pretty Maids) joined the band. The album was recorded at the Peek Studio in the South of France, co-produced by the band and Pat Liotard, engineered and mixed also by Pat Liotard, and mastered by Jan Eliasson at Audioplanet in Denmark. A band of experienced musicians, both on the road and in the studio, NOW OR NEVER perform epic anthems featuring bone-crushing filthy riffs and memorable melodies delivered by a voice has been justifiably described as bloodcurdling. 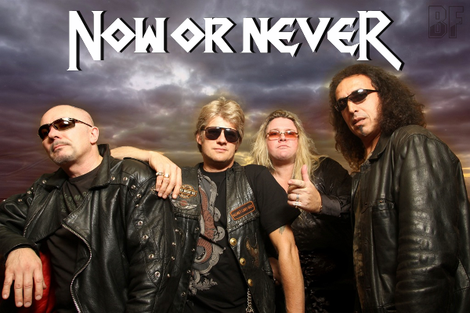 It could say NOW OR NEVER epitomizes the evolution of Hard Rock into modern Metal Music. 08. How Do You Feel? 10. Who’s In The Mirror?